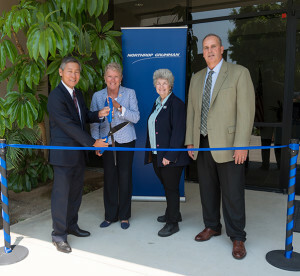 Northrop Grumman opens new facility bringing innovation, jobs to Oxnard, Calif.
Rep. Julia Brownley, alongside Northrop Grumman executives and other guests, celebrates the opening of the new Astro Aerospace facility in Oxnard, Calif. From left: Chris Yamada, vice president and general manager, aerospace products; Rep. Julia Brownley, Calif. 26th, Carmen Ramirez, Oxnard mayor pro tem and Michael Cross, general manager, Astro Aerospace. Rep. Julia Brownley, D-Westlake Village, joined Northrop Grumman executives and local officials Aug. 10 for the formal opening of Astro Aerospace’s new facility in Oxnard, Calif. The 140,000-square foot manufacturing center will increase efficiency and help Astro Aerospace manage its growing portfolio of work. Astro Aerospace has tripled its workforce since 2017 and is expected to employ nearly 300 employees and contractors next year. The new facility at 2601 Camino Del Sol in Oxnard, encompasses approximately 140,000 square feet, enabling concurrent manufacturing of large satellite reflectors, and other space hardware and deployable structures. 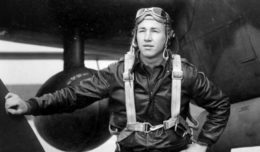 Astro Aerospace celebrates its 60th year anniversary this year and expects continued growth due to increased customer demand. The company specializes in deployable structures with unmatched 100 percent success performance on-orbit including extendable/retractable boom and mast subsystems, deployable mesh reflectors, and other deployable planar structures, solar arrays and antennas. The opening ceremony took place at the Astro Aerospace facility with remarks by Congresswoman Brownley and Mayor Pro Tem Carmen Ramirez. 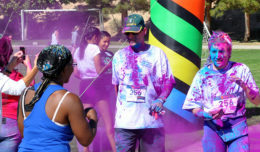 The event was attended by other area leaders as well as Northrop Grumman employees. Since 1958, Astro Aerospace has helped enable complex missions to Earth orbit, Mars and beyond with its innovative deployable space structures and mechanisms. 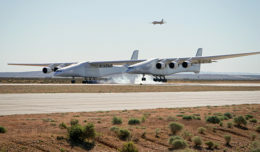 The business unit’s products have been successfully deployed on hundreds of space flights with a 100 percent success rate, a testament to Northrop Grumman’s commitment to reliability, quality and affordability.